Superconductivity was first observed by Heike Kamerlingh Onnes and colleagues Cornelis Dorsman, Gerrit Jan Flim, and Gilles Holst on 8 April, 1911, at Leiden University in the Netherlands. The four scientists measured the sudden loss in resistance of mercury when the temperature was lowered below 3 K. Two years later, Onnes was awarded the Nobel Prize for "for his investigations on the properties of matter at low temperatures which led, inter alia, to the production of liquid helium." Superconductivity had not been predicted in advance by the physics community. Onnes expected to find resistance dropping to zero as the temperature decreased, but other physicists of the time disagreed. Thomson (Lord Kelvin) expected resistance to become infinite at 0 K. In 1912, Onnes demonstrated an application of superconductivity by creating a persistent current flowing around a ring. 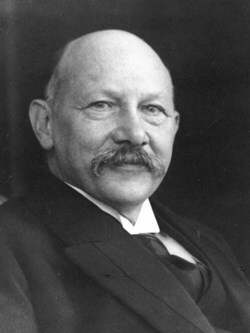 For ''his investigations on the properties of matter at low temperatures which led, inter alia, to the production of liquid helium,'' the Dutch Physicist Heike Kamerlingh Onnes was awarded the Nobel Prize for Physics in 1913. The background to these discoveries reveals much about the constraints that have governed practical uses of superconductivity. In those early days, the problem was achieving low temperatures; the measurement of material properties at these temperatures followed on from this. There was intense competition between Dewar (at the Royal Institution in London) and Onnes and Olszewski (at the University of Cracow) to achieve the lowest temperature on Earth. Dewar led the race by liquifying hydrogen at 20 K in 1898, until Onnes liquified helium at 4.2 K in 1908. Advances in technology preceded the physics; Onnes was able to discover superconductivity through his cryogenic technology. At Leiden University, he had established a well-respected department, attracting good workers in the field and working closely with industry. 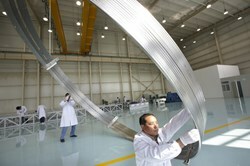 His cryoplant was based on equipment manufactured by Linde. It was not for another 50 years that applications in superconductivity began to be developed. In 1961, the first commercial NbTi superconductor was produced by Westinghouse (US). The arrival of the first practical superconductors coincided to within a decade with the first successes in the magnetic confinement of plasmas. It was quickly obvious that for fusion reactors, superconductivity was going to be indispensible. One of the first superconducting plasma confinement devices was reported at the 1st Magnet Technology Conference in 1965 (image 1). 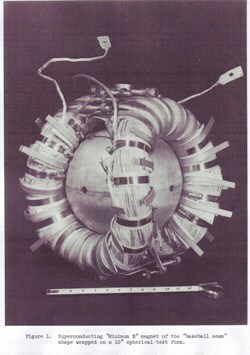 The first superconducting tokamak, T-7, begin operating in 1979 at the Kurchatov Institute in Moscow, and is still operating as the HT-7 Tokamak at the ASIPP in China. Triam, at the Kyushu University in Japan, was the first tokamak to use Nb3Sn superconductors in the late 1980s. As usual, fusion reactor studies ran ahead of the technology. By the mid-1970s, the 5th Magnet Technology Conference had a separate session for Fusion Magnets and the first design studies for superconducting fusion reactors. 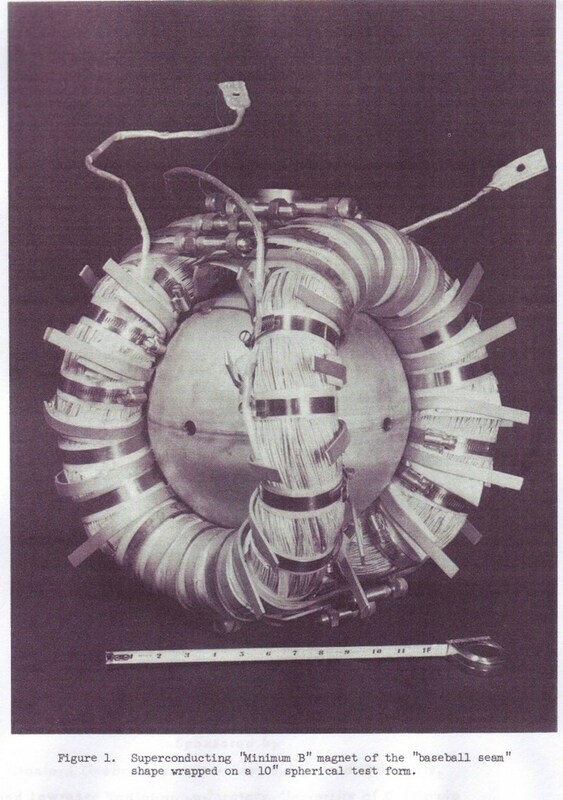 Preceding this, the 3rd MT conference in 1970 presented a proposal for a superconducting stellarator called W7X (the construction of the Wendelstein 7-X stellarator nears completion in Germany). 100 years after the discovery of superconductivity and 50 years after the first commercial applications, we have arrived at the construction of the ITER magnets, which will use 500 tonnes of Nb3Sn and 250 tonnes of NbTi, cooled with supercritical helium flowing at kilograms/second. The ITER magnets have dimensions about two orders of magnitude larger than the first superconducting device in 1965. ITER will also make use of the latest high temperature superconductors as part of the current leads that pass current to the coils. The basic lessons for ITER from Kamerlingh Onnes are not just the discovery of superconductivity, but also the development and application of sophisticated technology in collaboration with industry, supported by an efficient working environment and the best workers in the field.